1. Paper Covers Rock By: Jenny Hubbard - Well since this book is sitting in front of me on my dining room table, I guess it's making the list :) Plus I like a male as the main character every once in a while! 2. 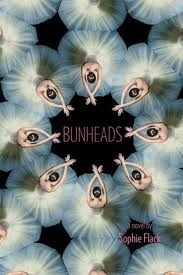 Bunheads By: Sophie Flack- I love the cover of this one, it's so cool looking! I've been wanting to read this since I used to dance. 3. Stargirl By: Jerry Spinelli- I have to read this book already! I checked it out of the library over a month ago, but I just keep finding other books to read! 5. 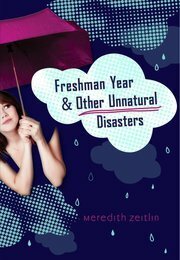 Freshman Year and Other Unnatural Disasters By: Meredith Zeitlin- Can't wait to read this one! It just sounds so me! Watch this video about the book... how cute is that?? 6. Getting over Garrett Delaney By: Abby McDonald- I love teenage heartache!! I can't help it, when a boy breaks a girls heart in a book (if it's written right) I just feel it! 7. She's So Dead to Us By: Kieran Scott- Been on my TBR list I feel like forever... gonna read it cause I really want to read This is So Not Happening, and apparently it's part of a series?? News to me! 8. Bitter End By: Jennifer Brown- I so had a boyfriend like this, and I love reading about things I can relate to (which is probably why I don't read Fantasy). Plus I LOVED The Hate List! 9. 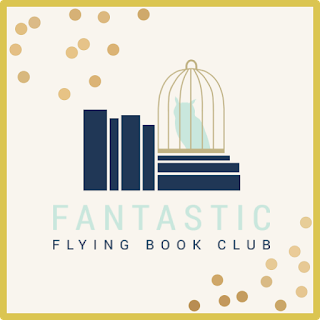 Reason to Breathe By: Rebecca Donovan- Just sounds super-awesome! It's a book I'll probably feel the need to read the ending (I do that a lot in books where there's a secret). 10. The List By: Siobhan Vivian- I've heard good things about this one, so I'm definitely reading it sooner rather than later! It reminds me of the Slam Books we had in Junior High. Wait was I a Mean Girl??? Nah!! So that's it... What are yours?? Stargirl is wonderful! I'm sure you'll love it. As for the Hunger Games, I didn't think I would like them, either. I mean, kids killing each other doesn't sound very appealing to me. But the characters are interesting, and something about the way she writes...you just can't stop reading it! Oh also- random question. I remember you said on my top ten last week that you were interested in reading An Off Year (the book about a girl who takes a year off from college) because you had experienced something like that. What's the story there, if you don't mind sharing? Haha yes... i went to college right out of high school, which probably wasnt a good idea since i was a wild child in h.s.... but anyway i went to college for a few years and joined a sorority and drank like everyday except mondays lol. So yeah I didn't do so well at school and i didnt really care either. but now im sort of paying for it since im back in school trying to finish the mess i made (because i finally realized im not independently wealthy or a princess and i need to make $$ haha). Oooh I see. Yeah, sometimes I wonder if ANY of us are really read to go to college at 18, and sometimes I think everyone should take a year or two off. 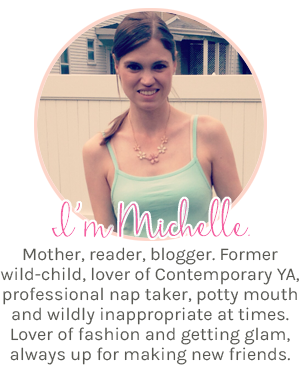 But at least you went back to school, Michelle! That's good! Your list is great! I really want to read Freshman Year and Getting Over Garrett. I keep meaning to get caught up on the Kieran Scott series and pick up Bitter End. I am adding them to my list ASAP! Thanks for reminding me! I just got freshman year today at the library!!! so excited to read it, if it wasnt so nice outside i would probab;y start it right now! My library doesn't have a copy of Freshman Year! So sad! This is a fantastic list. I haven't heard of many of these - including Bunheads. That cover is delightful! My TBR list just don't stop growing with these memes.